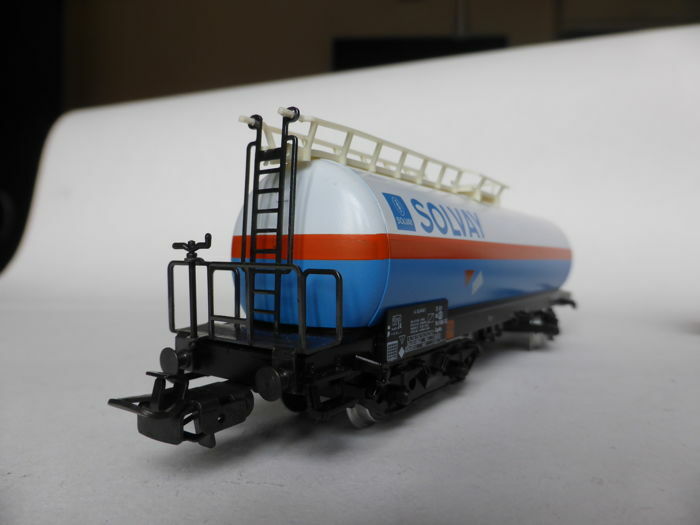 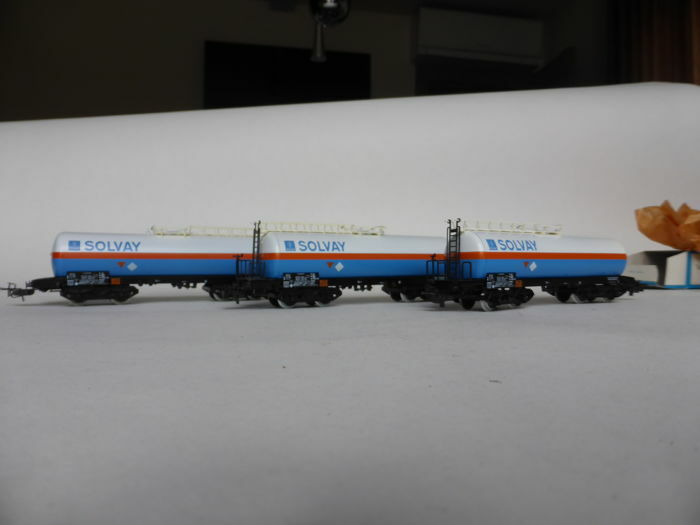 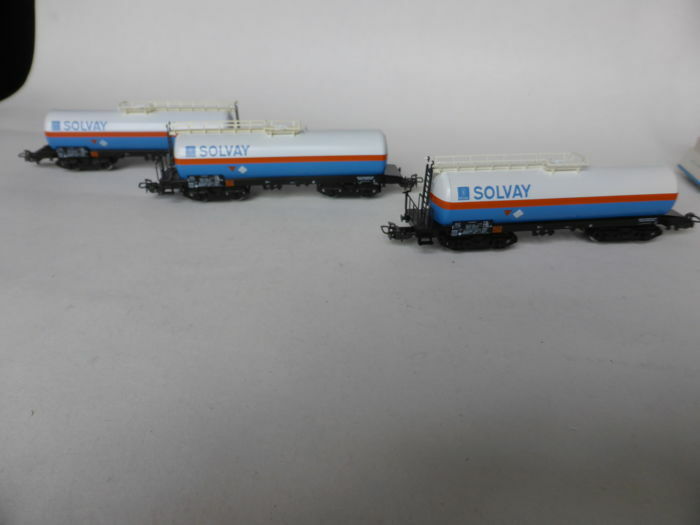 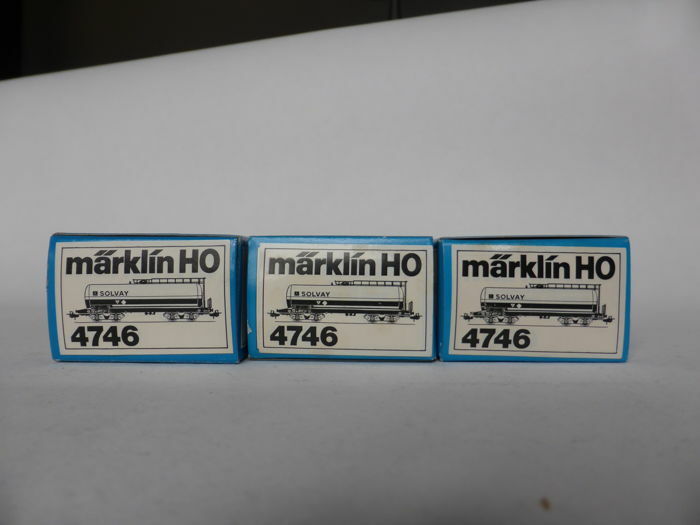 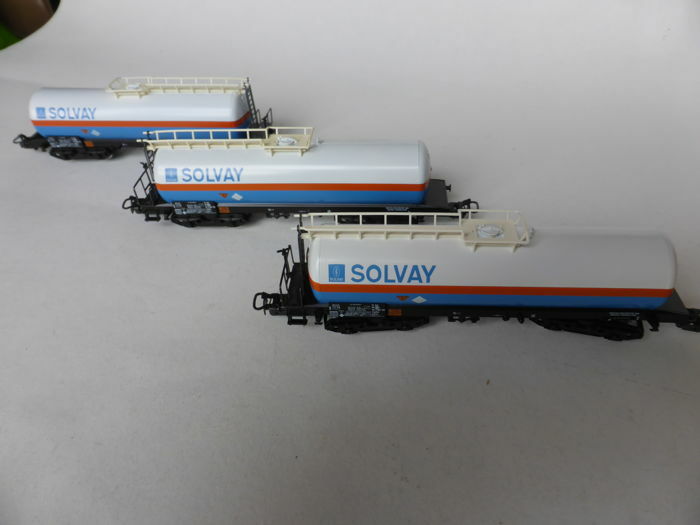 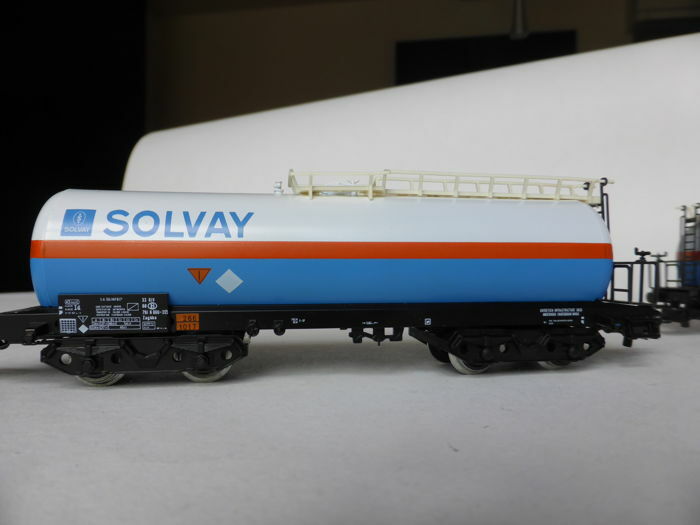 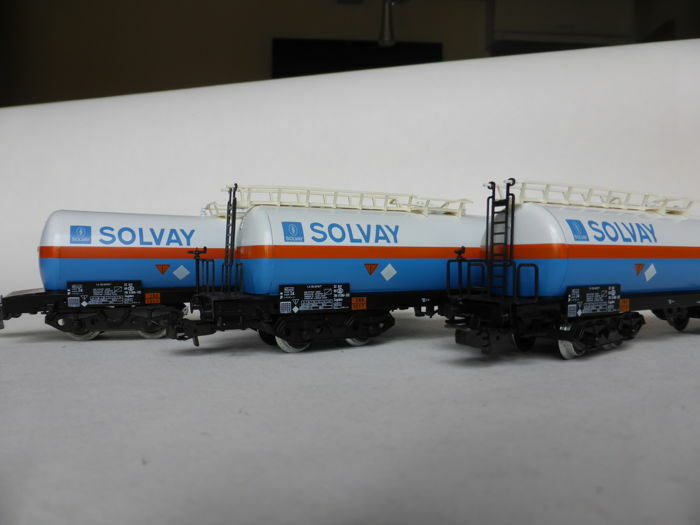 3 x 4746 - 3 Long tanker wagons 'Solvay'. 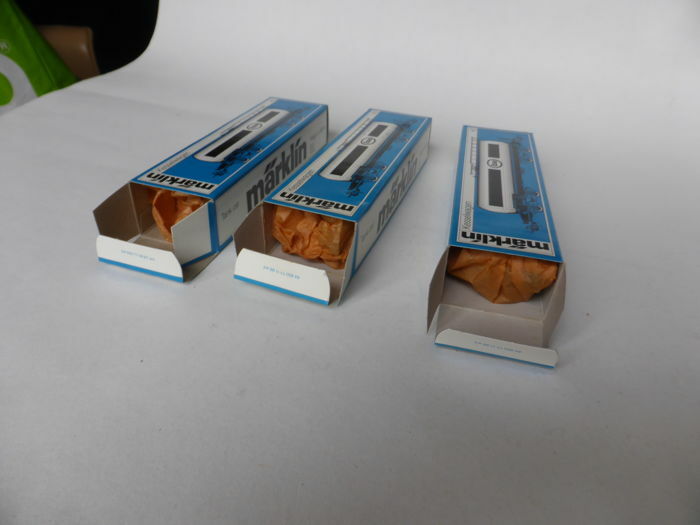 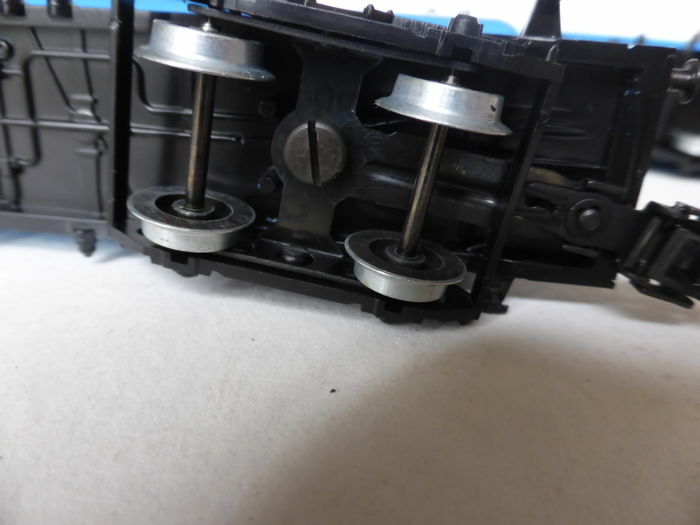 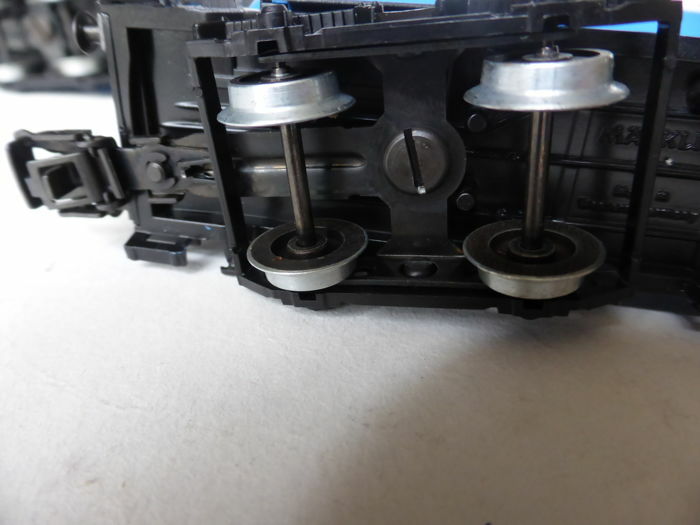 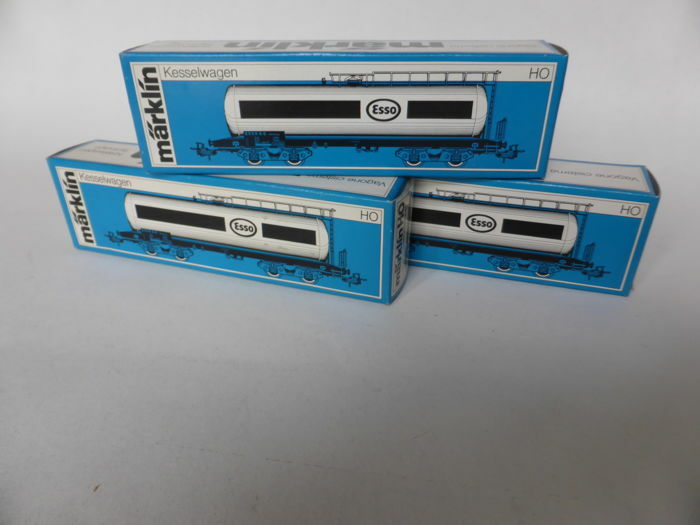 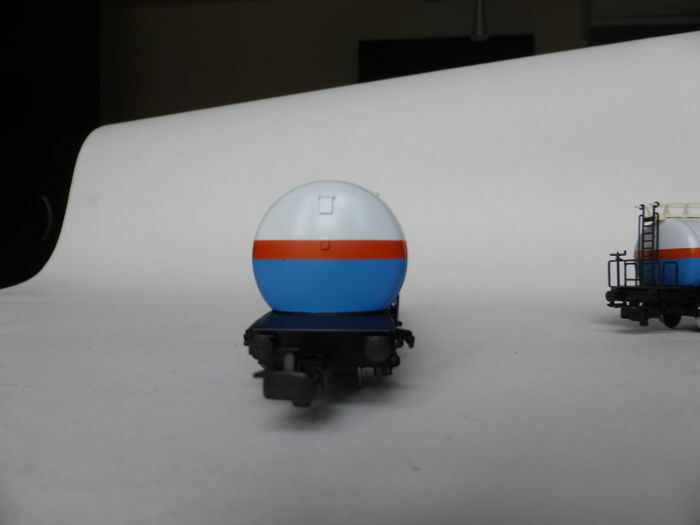 In mint condition, please see the photos of the chassis and axles. 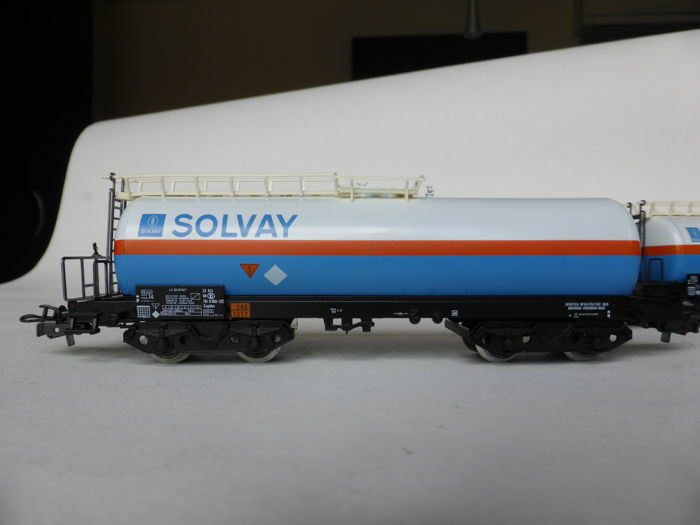 Insured shipping via DPD with Track and Trace to your home address. 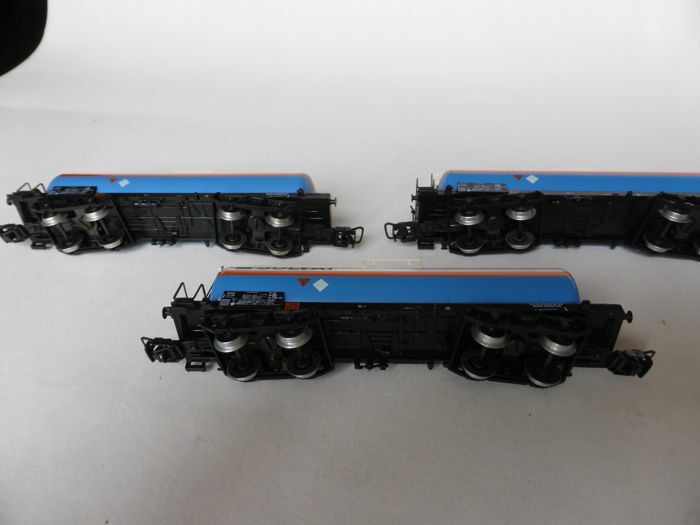 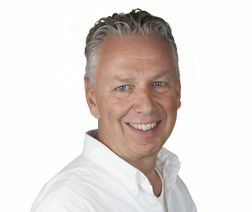 Collection from B9300 Aalst (Belgium) also possible. 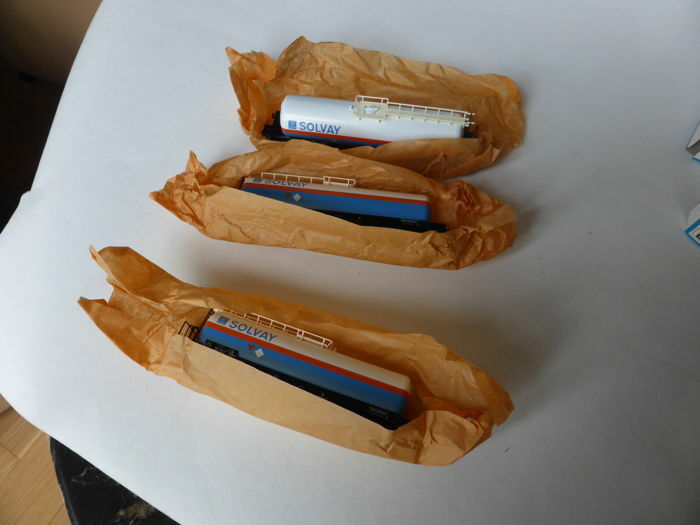 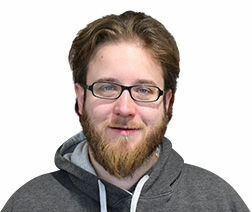 Transport to islands, “rest of Europe”, Switzerland, Norway, “world”, USA and Canada does not take place via DPD.